Wow! 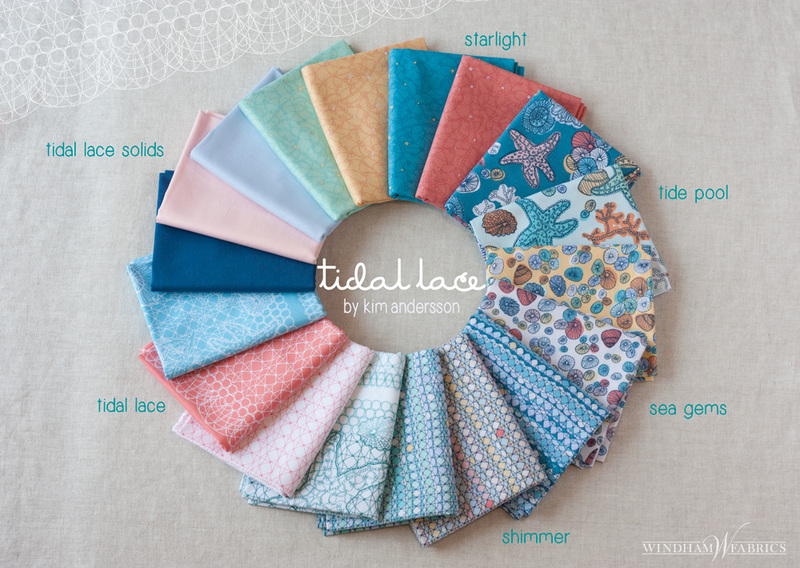 Today we have 4 gorgeous projects made with Tidal Lace. 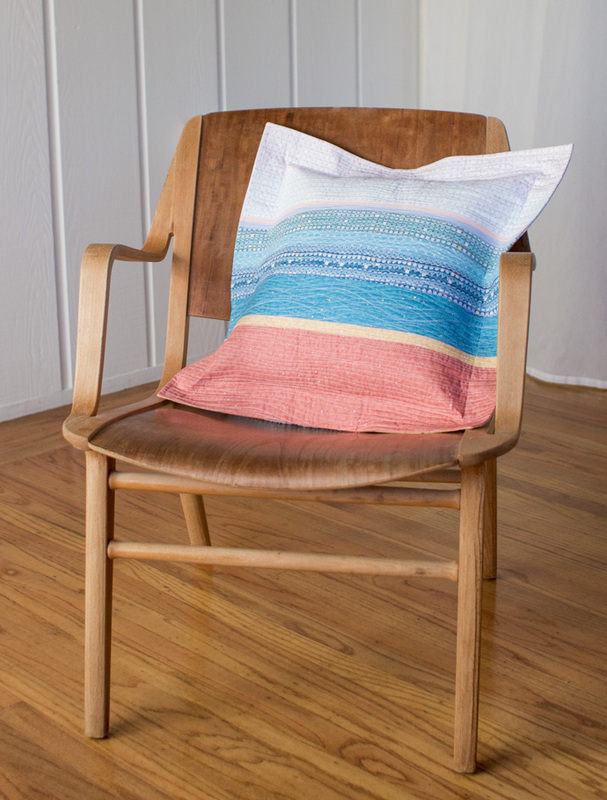 Tidal Layers Pillow by Ann Haley. Photo by Danielle Collins. Ann is another talented quilt designer that I met through the East Bay Modern Quilt Guild and she has made the most wonderful Tidal Layers Pillow. 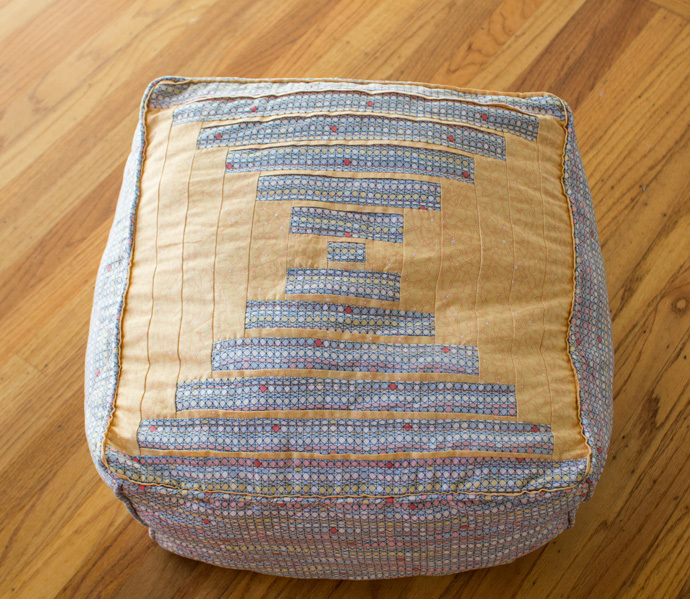 What begins as a simple layout is elevated with amazing lines of quilting, then the pillow is finished with an incredible 2 inch flange around the edge. 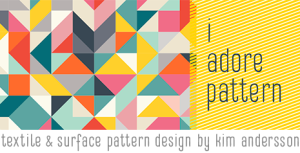 Ann has written up a tutorial for this beauty. Have a look here! Driftwood Pouf by Madeleine Roberg. Photo by Danielle Collins. Bon Appetit Placemat by Madeleine Roberg. Photo by Danielle Collins. I first met Madeleine through The Printed Bolt and their online competition REPEAT(ed). Madeleine has seen the designs for Tidal Lace go from being an idea through to being on fabric. So when I heard that she was starting her own sewing pattern company, Domestic Strata, I knew that we had to get her sewing patterns and Tidal Lace fabric together. 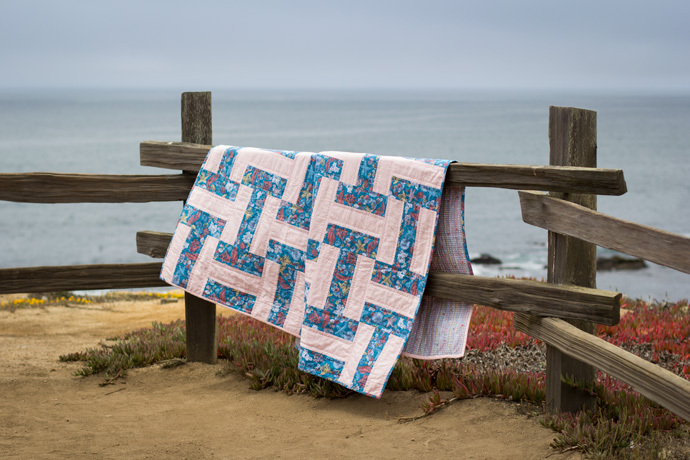 Madeleine created the Eucalyptus Rail Fence Quilt (you have to see the hand quilting on this! 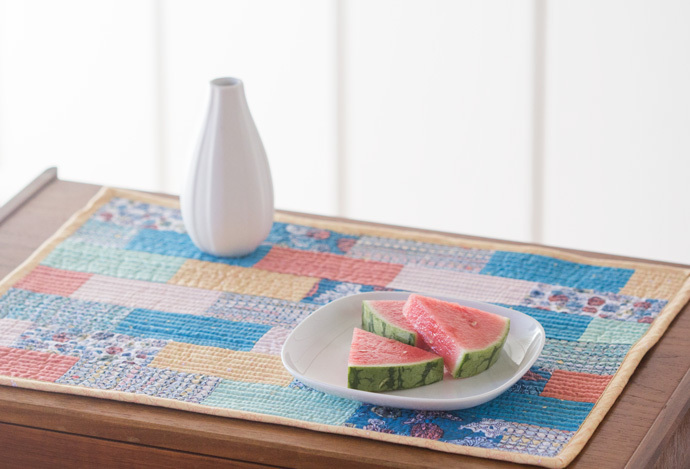 ), the Driftwood Pouf and the Bon Appetit Placemat with Tidal Lace and they are all wonderful! WARNING! Cute Kitty pictures ahead here. Make sure you go visit these stops and leave a comment on their posts. There is a FQ Giveaway for every stop on the Tidal Lace Blog Hop Tour! You can also find my post here.